Quinn Boyle is a lobsterman afloat in a shambled vessel, haunted by his battles with lobsters and with heroin, and ever behind on his child support. Since Quinn lost a man off his boat and served time for possession, only na ve beginners will work with him. On his final lobster run, Quinn's down to his last options. He hires on an old nemesis, Freddy Santoro, who's facing prison time of his own. Three days later, they're both gone, lost without a trace. 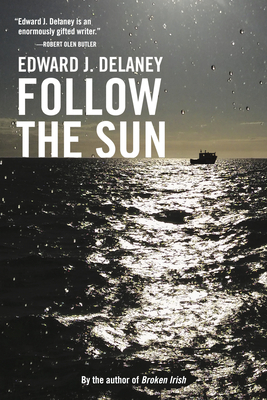 Edward J. Delaney is an award-winning journalist, filmmaker, and author of three previous works of fiction. He has received the PEN/New England Award, the O. Henry Prize, and a National Endowment for the Arts Fellowship. His short fiction has appeared in the Atlantic and Best American Short Stories, in anthologies, and on PRI's Selected Shorts program. Born and raised in Massachusetts, Delaney lives and teaches in Rhode Island.